Large companies are considered more stable and therefore more trusted compared to all other companies in the market and the funds that invest in these companies tend to provide stable returns. 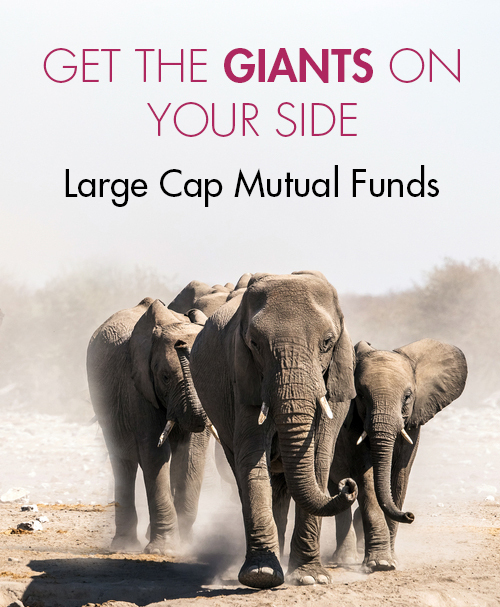 In terms of risk, large-cap mutual funds are considered one of the lowest risk equity mutual funds. One great benefit of mutual funds is that they allow you to start investing with very small amounts. There are several mutual fund schemes where investors can invest a small sum of ₹500 – ₹1000 every month and build a good mutual fund portfolio.